EBE12 will be celebrated on the first weekend of November, on 2nd (Friday), 3rd (Saturday) and 4th (Sunday) at the Convention Centre of Hotel Barceló Renacimiento. A legacy of the 1992 World Expo, located in the Isle of Cartuja, on the banks of the Guadalquivir river. Its proximity to the Cartuja Scientific and Technological Park, the historic heart of the city and popular neighbourhood of Triana, makes it an exceptional place to celebrate EBE12. Moreover, it provides excellent communication options as it is only 12 kms from Seville Airport, 5 from AVE train station (Santa Justa) and 10 minutes walking from the historic heart of the city. Taxi fare: 21,89 euros. This a fixed rate. Bus: EA bus line (Drop off at “Estación Santa Justa” stop) and there take C1 o C2 bus line (Drop off at Puente de Barqueta stop, in Cartuja). Ver EBE (Hotel Barceló Renacimiento). en un mapa más grande. 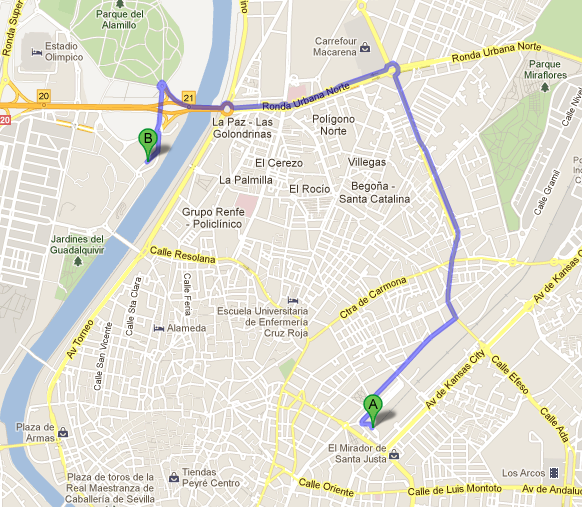 Bus: C1 or C2 bus line (Drop off at Puente de Barqueta stop, in Cartuja). 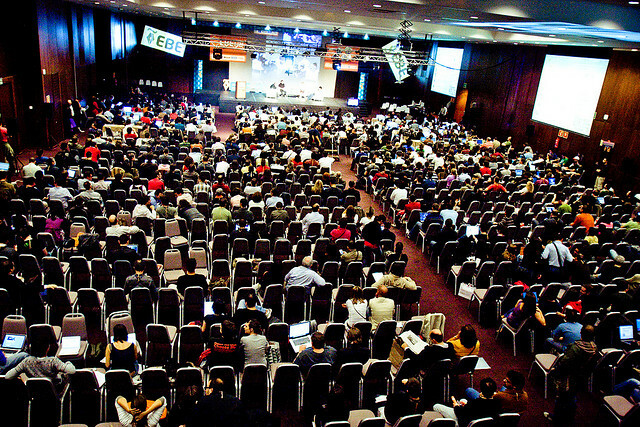 EBE is the biggest blogger and web entrepreneur conference in Spain and the second most important in Europe: 3,000 participants. How to get to #EBE12? 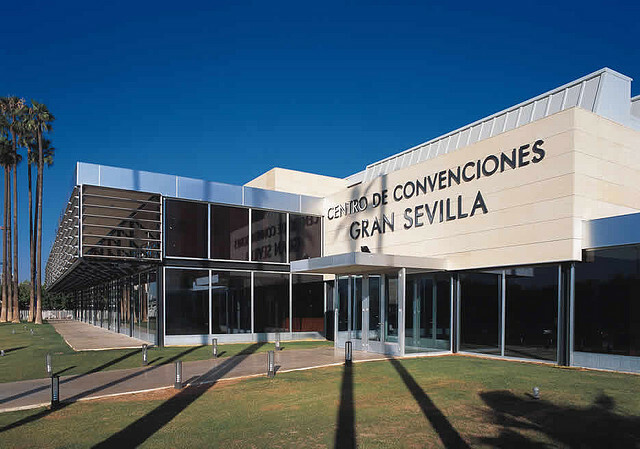 #EBE11 will take place 2 – 4, November 2012 at Hotel Barceló Renacimiento, Isla de la Cartuja, Sevilla.